No 27 An Leac Lian. Sherry FitzGerald is offering to the market No 27 An Leac Lian for sale by private treaty. This is a superb four bedroom family home fitted to a very high standard and located in the heart of Barna village, in a small quiet development. Built circa 2005/2006, it is in excellent decorative order throughout. An Leac Lian is a small development of similar style homes overlooking a communal green and landscaped area. It is close to all the services the village has to offer including Barna Pier, shops, national schools, childcare facilities, pubs, and renowned restaurants. No 27 offers quality fittings and is presented in excellent condition. The reception rooms are well proportioned, bright, and airy. There are hollowcore floors between ground and first floor. On the first floor level there are three bedrooms, one of which is en suite, and the main bathroom. On the second floor is a large master bedroom with en suite bathroom and walk-in wardrobe. The property benefits from having gas fired central heating. The rear garden is private, well developed, and south facing. Parking is to the front of the residence. The BER is C1. 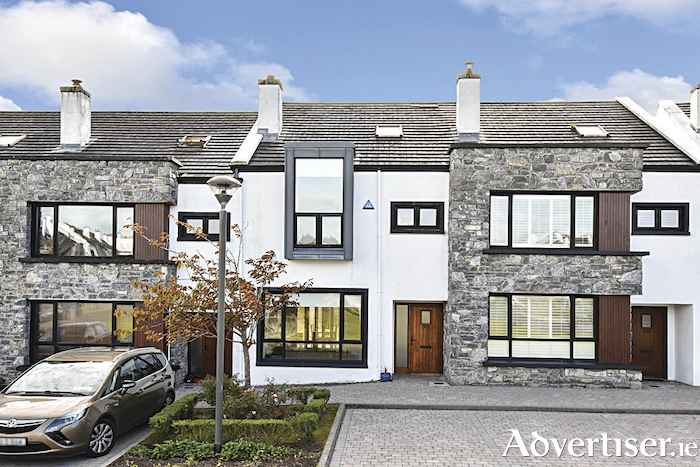 With an asking price of €400,000, this is a quality residence located in the centre of Barna which is a popular seaside location approximately 10km from Galway city centre. Viewing is highly recommended.